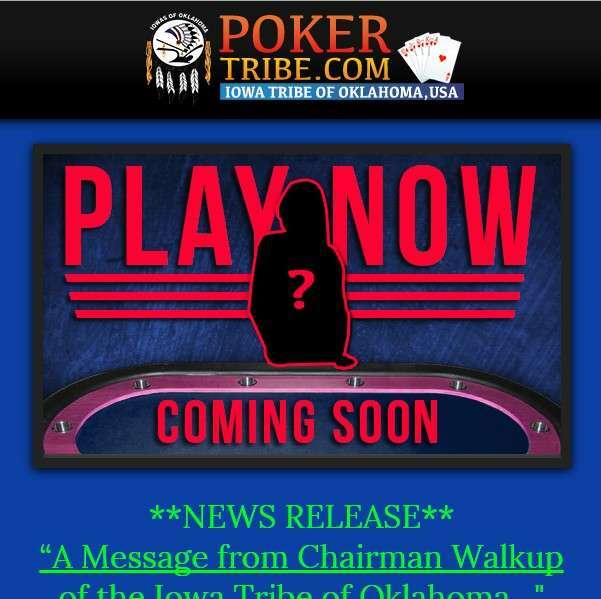 The Iowa Tribe of Oklahoma has announced its plan to launch an online-poker platform at pokertribe.com, following an arbitrator’s ruling in November that ruled against the United States Department of the Interior (DOI) in regard to the definition of “covered games” as they apply to aspects of Class II and Class III gaming forms described within the US’s long-standing IGRA (Indian Gaming Regulatory Act). This means, according to Chapel, that Class II gaming forms as defined under IGRA as Class II, which include poker and bingo, should not automatically become Class III when offered online, despite definitions elsewhere within IGRA’s text that demand such a re-definition if any form of electronic transmission is used. 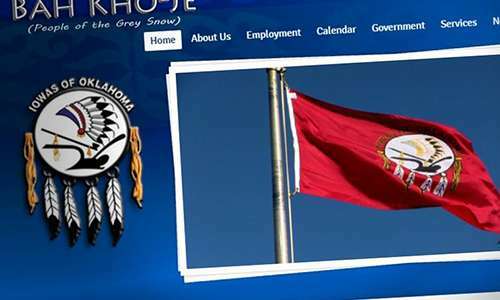 The Iowas, who are headquartered near Perkins, in central Oklahoma, have for all purposes taken over a legal battle first launched in 2013 by the Cheyenne and Arapaho Tribes, a joint tribal nation also based in Oklahoma. The Cheyenne and Arapahos tentatively launched their pokertribes.com entity back in 2013, though no real-money gaming was ever offered via that site. Instead, the Cheyenne and Arapahos abandoned the idea after new tribal leadership was elected in 2014. That left the C and A’s planned software partner, Miami-based UEG (Universal Entertainment Group), looking for another tribal nation with which to partner, and in the Iowas, they may have found what they desired. The original Cheyenne and Arapaho online site was based at pokertribes.com; the latest Iowa Nation version is at pokertribe.com and pokertribe.gov. In other words, it’s barely been changed. Except it’s not at all clear that anyone actually plays or has played poker on the uegpoker site (which appears to have borrowed its graphics from, oh, 1999 or so), and the uegpoker.com’s Facebook presence is more than a bit vacant. Which isn’t to say that there’s no mention of the company or its online-poker plans on Facebook, as this link to former Cheyenne and Arapaho official Darryl Flyingman’s attack on the UEG plans shows. It turns out that the Cheyenne and Arapahos sunk between $7 million and $10 million into UEG and the pokertribes.com concept under the auspices of C&A tribal leader Janice Prairie-Boswell, who succeeded Flyingman as the tribe’s governor in a disputed 2010 election. Prairie-Boswell was voted out in 2014, and with it went the UEG partnership, though it’s safe to say that the C&A’s internal politics remain a sorry mess, with several factions continue to fight it out. It’s no wonder that UEG sought out a new partner in the Iowas, though UEG itself hardly inspires confidence. The company, owned by Isaias Ferrer, with Fereidoun “Fred” Khalilian in a non-principal role, drew plenty of heat from Flyingman for the terms of its relationship with the Cheyenne and Arapahos. Enough of the heat was directed personally at Khalilian, whose background we describe charitably here as “sketchy,” so taht an attorney representing Khalilian appears to have attempted to file a takedown notice with Facebook in an attempt at possible censorship of Flyingman’s “The Flyingman Initiative” site. With due notice that Flyingman has had his own legal scuffles, both tribal and personal in nature, the bombs he’s tossed at Khalilian and UEG, the firm now lined up as the Iowas’ software partner, are severe enough to question the whole operation’s validity. Among many other allegations, Flyingman asserted that UEG and Khalilian scammed the Cheyenne and Arapahos out of $9.6 million in the old pokertribes.com venture. And in 2014, according to Flyingman, UEG launched a placeholder site at the now-in-the-news pokertribe.com (with no “s” at the end), pretty much waiting to snag another tribal partner. Compare the 2014 image of pokertribe.com as captured by Flyingman with the way the site appears today. That’s nothing if not minimalistic, and it’s not exactly inspiring to the notion that this is a company engaged in serious online-gaming software development. Well, here’s a link to a CBS story from 2011 about Khalilian and one of his former businesses, a robo-calling operation. We’ll let our readers do additional searches on their own and judge for themselves. In short, the whole thing looks like garbage, and that includes the announced pokertribe.com operation. Despite whatever sales pitch the Iowas might have bought into, and regardless of what the arbitrator ruled, the site as planned by both the Cheyenne and Arapahos and now, the Iowas, is a case of a product without a viable market. Both the C&A and Iowa online-poker schemes involve catering to an international player base, meaning players outside the US. Exactly what is supposed to entice these players to play on pokertribe.com, instead of any of a plethora of well-regarded international online poker sites, remains unknown. There are simply no player incentives that could drive any large number of users to the pokertribe.com site; the notion that what any US tribe could offer is better in a regulated and trustworthy sense than any of a large number of established European firms is horse manure at its brownest. There are multiple reasons why the opposite is true; international players would have little or no legal recourse against a US-based tribal online gaming operation in any dispute. It’s such a shame, really. The cited arbitrator’s decision really could have an impact on US tribal nations’ ability to offer various forms of online gaming. But even if this pokertribe.com thing does get off the ground, it’ll soon be crushed by a wave of deeper-pocketed, more-experienced competition. Folks, as many of you are aware, business on the Internet is coming fast and furious to all of our lives and is taking over more and more of our daily activities regardless of whether it’s business or personal. To this end, the Iowa Tribe of Oklahoma (“Tribe”) is picking up on online gaming where others left off via the newly minted domain names of Pokertribe.com and Pokertribe.gov. 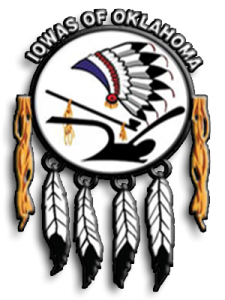 Accordingly, on Wednesday December 23rd 2015, the Iowa Tribe initiated legal proceedings in the United States District Court for the Western District of Oklahoma seeking certification of an award entered by an arbitrator that found the use of the Internet to offer certain “covered games” under the (“Class iii Gaming Compact”) (”Compact”) between the Iowa Tribe and the State of Oklahoma (“State”) is not in violation of previous and present state or federal law. The State had previously determined that such Internet gaming was authorized under the Compact and had entered into a First Amended Settlement Agreement (“Agreement”) with another Oklahoma tribe that authorized the offering of the subject “covered games” via the Internet games to persons located outside the United States. The parties to that Agreement submitted it to the United States Department of the Interior (“DOI”) but the agency rejected the language determining the Agreement constituted an amendment to the Compact and would have to be approved by DOI. The Oklahoma Tribes involved in the Agreement initially brought an action in federal court challenging the agency’s decision but later dismissed the action and decided not to move forward with the concept. The opportunity was then presented to the Iowa Tribe of Oklahoma by the online gaming software developers, Universal Entertainment Group, (“UEG”) for their nationwide and international air, land, and sea online gaming platform and marketing strategy. Finally, once our Tribe had an opportunity to review all the facts, we were able to see this as a positive opportunity for our Tribe, including present and future generations of Tribal members. We also saw a possible new online marketing concept that would generate fresh revenue for our tribe and potentially for the other federally recognized tribes in the State and possibly across the Nation. At that point my office was able to complete our due diligence on the previous situation and the present history of UEG, its principle, and its entire team. The result of our due diligence investigation uncovered nothing which the Iowa Tribe deemed to be an impediment to proceeding with UEG. The Tribe then executed an exclusive licensing agreement with UEG for its online gaming software for free and real money play. We would rather be the first in the Nation than to allow another state and/or enterprise to beat us to the punch even though we know for a fact this concept can only be launched by a sovereign nation. The arbitrator’s decision applies to all tribes in the State of Oklahoma. Every tribe has the same opportunity as the Iowa Tribe to engage in Internet gaming consistent with the arbitrator’s decision and the Compact. We look forward to moving forward and launching the site as soon as possible in 2016.